Angela from Tread Lightly Retire Early has been an active member of the ChooseFI community for around two years. She has built a life that combines FIRE with sustainability. Additionally, she is a leader that recognizes the women in the FIRE movement. 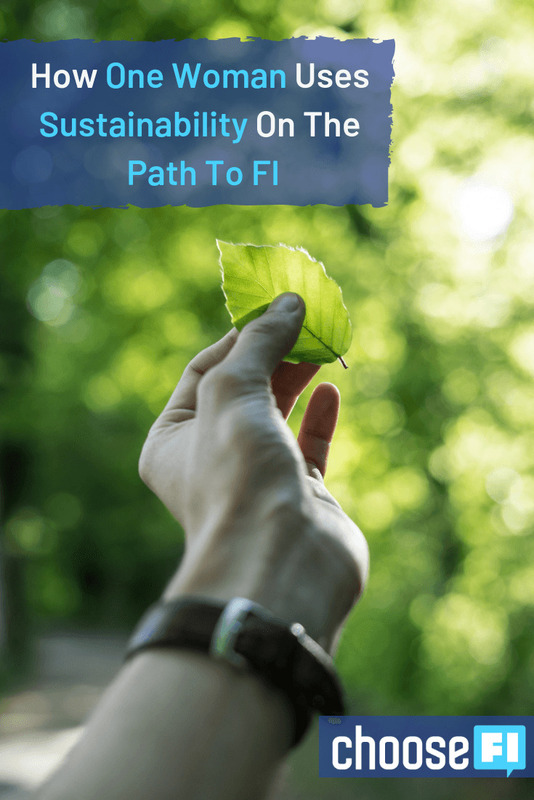 Brad and Jonathan learn about Angela's journey and practical sustainability advice that could help the FI community. Angela's passion for sustainability kicked off in the 6th grade. Although she had always enjoyed spending time outside, the teacher infused a lot of information about the environment and climate change into that class and it stuck with her. Since then, sustainability has been a focus in her life. In high school, she set herself up for college success by taking as many AP tests as possible. She even took the AP Comparative Government test without taking the class! She passed the test, so the college credit was granted even though she never took that class. Once in college, she continued to be strategic about her commitments. When she learned that her friends were struggling in a required class, she opted to take it at a community college during the summer to avoid a stressful semester. Originally, she started down a path of a triple major. In the middle of her first year, she knew that she wanted to pursue environmental science as a career. So, she dropped the second and third major and finished school in just three years! The strategic decision to take AP tests as well as choosing to focus on one major allowed her to finish college early. With the high costs of college, she was able to save a tremendous amount of money by finishing early. Before entering college, Angela was strategic about the schools she applied to. She knew that she did not want to pay full price for college, so she focused her efforts on schools that could offer her a scholarship. If a school did not offer merit-based scholarships, then she crossed it off her list. One school did offer her a merit-based scholarship for $9,000 per year. Although she was inclined to take it, her dad encouraged her to negotiate with the school for a higher scholarship. With his help, she drafted a packet of her high school accomplishments and asked the school if they could offer more money. Shockingly, they did! The scholarship amount was raised to $12,000 per year. It never hurts to negotiate! Many of us go into college with the mindset that the degree must be able to pay for itself. Most of us do not have environmental science at the top of our college ROI list but Angela would do it again. She has found a job that she likes creating affordable and sustainable housing in the Seattle area. Although the job might not be as fun as a park ranger, it is more stable. Most of the fun environmental jobs do not pay very well and do not mesh with a normal lifestyle. Most of the people that worked in the “fun” environmental science jobs had a second job or eventually moved onto another field. Be realistic about your job expectations on the other side of college as you pursue this career path. Either way, Angela's advice is to minimize your student loans no matter what. At graduation in 2009, she had accumulated $24,000 in student loan debt. The timing made it difficult to get a job, but she finally landed a naturalist job across the country in South Carolina near her future husband's military post. The job was great but only paid around $750 a month. She chose to get a second job at PetSmart in order to make the minimum payments of her student loans. The goal was to not defer the loans and pay them off quickly. She kept her lifestyle costs low by getting a roommate and used all extra income to pay down her debt. Within a year, her husband would be out of the military, so they planned to head back to the West Coast. She landed a summer gig as a park ranger job on the West Coast that paid $14.50 an hour. She felt rich! Later that summer, she found her current position. She continued to work both jobs full-time until the end of the summer and continued the park ranger job on a part-time basis after that. Every extra dime went towards student loan repayment. In the end, it took 3.5 years to pay off her student loans. In the process of paying down debt, she came across the FI movement but it was not her focus at the time. After paying down student loans, they started saving to have a baby. Once her son was born, Angela says she drifted away from the finances. She still dabbled in reading blogs, she did not really apply the information to her life. While her son was very young, the couple was just spending money to survive life. Although they still had an amazing savings rate of 23%, each month was stressful and just did not feel good. As most parents can relate to, having her son was the cause of the drift. The responsibility of a child means that you have to relinquish some of your control over your life plans. Each day felt overwhelming and stressful. Even with a 23% savings rate, she still felt stressed out about money. The issue was that there were many small buckets of savings but it just did not feel like it. A real change happened when her son turned one and started to attend daycare. At the same time, Angela switched to 80% of full-time work. Those two switches made a huge difference in her life. With just a couple of hours each day, she had the time and space to think about their finances. One day, Retireby40 inspired her to start her own blog. That moment started her journey to FI. 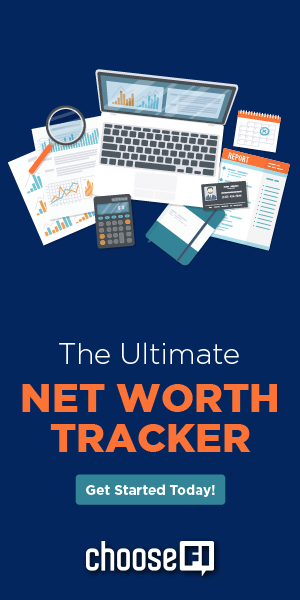 The act of committing her thoughts about money to paper (or blog) allowed her to focus her efforts towards FI and start paying more attention to their finances. Since then, Angela has been able to double their savings rate to 46% and create a happier life with more time and balance. She was able to stop spending money on things like lunches out because she had the time to think about the choice. How Did You Double Your Savings Rate? The three main expenses that the FI talks about are housing, food, and cars. The idea of a car payment is foreign to Angela because she's never had one but the other two areas were places to cut back. The food costs for their family in the “drift period” were around $2,500. Although that seems high now, it was an easy number to hit with lunches out and frequent grocery trips. She started by lowering her work lunch budget. In December 2016, she gave herself a budget of $150 for work lunches. At first, it was hard to stick to. Eventually, she realized that she enjoyed the midday walk around the block more than the lunch. So, she continued her walk around the block but brought a packed lunch. Six months later, she had stopped eating lunches out. Small things are incredibly powerful. After tackling her lunch habit, she looked at their grocery bill. The family lives walking distance to the grocery store, so it was easy to pop in for “small” purchases every day. They made a decision to start grocery shopping just one day a week and it has really helped to lower their grocery spending. Angela and her husband have always had a roommate. Even with their baby, they still have a roommate in their affordable starter home. With their roommate, the housing costs were reasonable but they retrofitted their home with sustainable products to save even more. Although the couple cannot put solar on their house due to shade trees, they are still able to save an incredible amount on their water and electric bills. By replacing their older toilets with the Niagra Sleath Toilet Full Disclosure: We earn a commission if you click this link and make a purchase, at no additional cost to you. , they are able to cut their water usage in half without any lifestyle changes. The one-time replacement can really impact your water bill. After replacing the toilet, the couple replaced the showerheads with more water efficient models. Additionally, they added aerators to their sinks for extra savings. The total bill for these water-efficient plumbing fixtures was just $399.69. When you compare that with their savings, the install paid for itself within just nine months. The return on this investment will last decades. Angela did not stop with the water savings. Next, they replaced all of their light bulbs with LEDs. Although she has not done the official cost analysis yet, the LEDs use just 1/25 of the energy consumed by an incandescent light bulb. That reduced energy usage can add up! Plus, LEDs last much longer. The couple installed a 98% efficiency furnace and gas piping in their home. The switch was surprisingly affordable due to a $4,500 rebate from the utility company. Check your local area for similar energy efficiency grants. Finally, they added a more efficient water heater. They chose to go with a tank water heater because it could come in handy during an emergency. The grand total of their sustainability investment was $12,000. Each month, they are able to see the return on their investment in their lower utility bills. Before the upgrades, their winter bills came to around $350 a month. Now, their utilities in the winter are just around $150 a month. The savings are outstanding and an obvious perk for FI focused people. If you are only able to make one switch, then Angela highly recommends the toilets because you will see the quickest return on your investment! In addition to major upgrades to their home's energy infrastructure, the couple has made changes in their household purchases. A major change has been the reduction of paper towel usage. Instead of constantly using paper towels, they have small kitchen rags that are made of terrycloth and pretty fabric. The kitchen rags are more effective than paper towels and extremely easy to toss in the washing machine with a load of clothes. In general, single-use disposable items are just inferior to other products. If you try out a more sustainable option, then you might be surprised by the results. Although Angela does not expect to become a zero waste household any time soon, the little changes add up to a big difference. Both the Earth and your bank account will thank you for implementing small sustainability-focused changes to your home. Favorite blog: That Frugal Pharmacist has great content but unfortunately the life of that family has taken a difficult turn with a cancer diagnosis for their young child. If you are interested in finding out more about their fight, then you can connect with their story at Uriah's Fight. Biggest financial mistake: The 3-year gap between paying off student loans and when she started to track their finances closely. Through taking steps to monitor their spending, she was able to get their financial life back on track. The advice you would give your younger self: To stay on track and pay attention to your finances. However, you need to give yourself space in life for things other than work and your absolute commitments. By reclaiming some hours of her life, she has been able to build a more balanced lifestyle. Bonus! Which purchase in the last 12 months has added the most value to your life? An air mattress that fits in the bed of their truck which allows them to go camping anytime without renting a cabin. Great Episode! I knew I was flushing money down the toilet 😉 Angela, I remember your comment on twitter last year about commenting on newer blogs because those first few comments make your day. Ha, payback time! Keep the FIRE burning. Awesome episode! Love that you guys started including the sustainability aspect. Loved this–especially the second part about energy savings and the women blogger list. Great ep! Here are some of my favorite sustainable and frugal things I’ve done in recent years. #1 (huge money saver for half the population) – switch to a menstrual cup and never spend $ on tampons or pads again! I bought mine for about $30 over a decade ago and it is still in great shape. Plus, so much easier now that I don’t have to fuss with anything during my work day. #2 rechargeable batteries. When I learned about these I was like, why didn’t anyone tell me about this before! #3 cloth napkins. make like it’s a holiday meal every day and cross paper napkins off your grocery list forevah!